Woooohoo... and crap. Its great and its sh*t. Wtf and wtf. 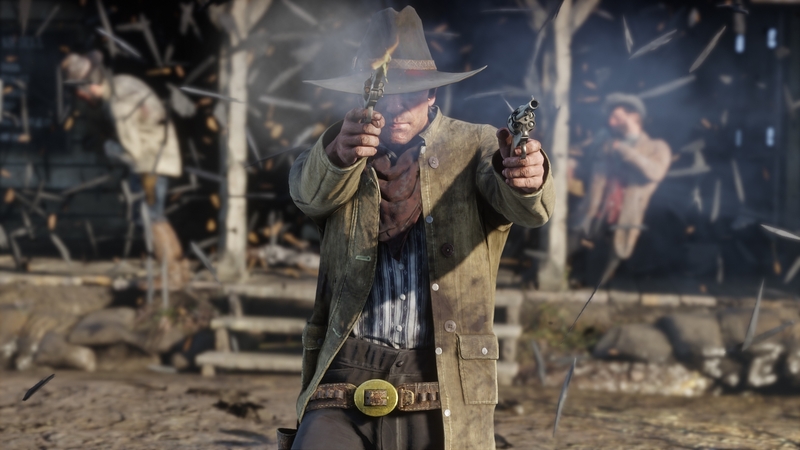 do these screenshots pretty much prove that Arthur is the central character in this game? We look forward to sharing a lot more information with you in the coming weeks. But for real... I think we can all breathe a sigh of relief now that we finally got a release date. I'm actually not shocked at all by the second delay tbh. It's not that bad of a wait. Loved RDR back in 2010 and i'm looking forward to this game as well. Still kinda sad to see, that they released f*ck all since V in 2013. Max Payne, Bully, Manhunt, Midnight Club, L.A. Noire. So many great brands and they have done nothing with them. Excellent! Fall release is better than summer. 5 Years and 1 and a Half Months since Rockstar released a NEW game. Over 6 years in development time for ONE game. A little later than we all wanted, but it's good to finally know. Four years into the lifespan of the new consoles too. Doesn't give me much hope that they'll release anything but the next GTA before these consoles are replaced, not to mention the PC version is even further away now. That we know of. For all we know they've been working on the next Grand Theft Auto title, not to mention Online content. On the other hand, if it has indeed been 6 years in development, I think we're in for a hell of an experience. I feel the same way, also note how they said new info in the coming weeks. Should we trust that this time? No it f*cking isnt. Why? Ill be honest Im extremely pissed off about this. This isnt an April to may push or a June to August push this is at least 4 months past what would have been a possible Spring 2018 release date. I continue to grow concerned that The Benz absence is affecting their development in profound ways. Youre telling me they need FOUR MORE MONTHS OF POLISHING? At one of the richest studios in the world? This sh*t has got to be totally f*cked right now. Theres no way it would ever be able to come out in Spring, to the point where Im confused as to why they ever bothered setting the window for fall of the previous year. I know these things get pushed back all the time but Jesus. Youre polishing for the next 8 months? How long has this game been in development again? f*cking Christ. 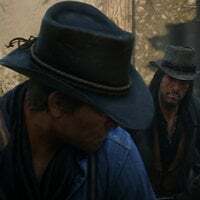 The rumors say they are looking to bring real innovative content to RDR2. Should be interesting if they are true. Being on the run, building up your gang sounds awesome! youve got to think about how newer gen consoles came out between then and this is their true first game on next gen. Built from the ground up and not just ported over, so yeah. Its gonna take some time buddy. Nice to have a release date now. I'm sure it will be well worth the wait. 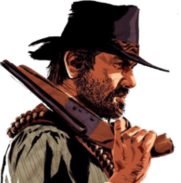 is this arthur or another character? I suggest you take your own advice - at least we have a release date. In the meantime, find something to invest your time in and it'll be October before you know it. Comeplety ok with this, just deliver a great SP game, Rockstar. This is their first game post Online so Im interested to see how they will handle it. Well atleast we now know a release date. I'm just excited to see a concrete release date. Now we know that marketing is going to follow in the coming weeks and months. And by god those screenshots are beautiful. I might just have to get a 4k tv and upgrade my ps4 to a pro. Thank you for your calm mind and sound advice Craig. The thing that upsets me is that at least if they waited until he conference call I would understand the logic behind the timing of the announcement. But this doesn’t even save them from the potential stock hit. It’s possible they were basing this decision off of some January milestone, but even if that were the case I don’t know how that justifies a 4-5 month delay. They had to have known about this sooner and I don’t understand why we were kept in the dark the way that we were. Next gen. Bigger expectations, more development time, bigger budgets and longer productions. For comparison Horizon Zero Dawn was in development for over 6 years and God of War for PS4 will have been in development for nearly 5 years when it releases. Well..I surely wasn't expecting this coming back to the forum..